Victoria is a beautiful city to visit year-round but it is particularly romantic in the spring. Plan a weekend trip or a longer vacation with plenty of time to explore the city's museums, parks and unique attractions. Check into one of these charming hotels, inns and B&Bs offering stylish accommodations, friendly service and romantic features. 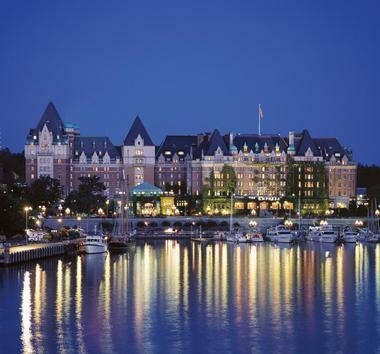 The multi-story Fairmont Empress rises like a majestic castle next to the waters of Victoria’s Inner Harbour. The hotel contains over 400 luxury guest rooms, a full-service spa, and two on-sight gourmet restaurants. Incredibly popular and tastefully refined, the Fairmont has been catering to royalty and celebrities since 1908. Guests won’t want to miss the opportunity to take part in the time-honored tradition of afternoon tea at The Empress. The hotel is one of Canada’s top hotels for luxury and service, and expansive meeting space makes it an ideal destination for business meetings, retreats, and weddings. The Parkside Hotel and Spa is a celebration of art and architecture. Built in 2009, the hotel is conveniently located near the Victoria Conference Center and other important downtown venues. It is a boutique hotel featuring 40 well-appointed suites. Each suite includes a fully equipped kitchen, LCD TVs and fireplaces, and contemporary bathrooms featuring oversized showers and soaker tubs amongst many other high-end amenities. There is an on-site, award winning espresso, wine, and ale bar, which also serves seasonal food and can accommodate in-room service. The hotel itself is a green building and attempts to provide luxury in an eco-friendly environment. A stunning mansion built in the early 1900’s, Abbeymore Manor strives to provide personalized service in a comfortable and well-appointed inn. With only five heritage rooms and a number of garden level suites, this bed and breakfast is perfectly located for an intimate and local experience. A highlight of the Abbeymore experience is the personalized breakfast offering that always includes fruit, baked goods, and a hot gourmet entrée of the guest’s choosing. The manor is within walking distance of some of Victoria’s most popular attractions, such as Craigdarroch Castle and Langham Court Theatre. Just ten minutes north is the fun and funky neighborhood of Fernwood. 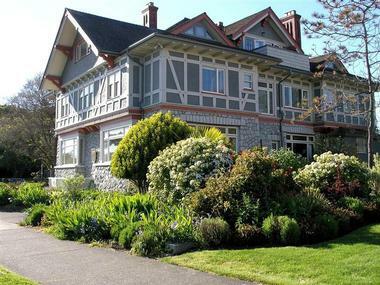 Dashwood Manor Seaside Bed & Breakfast Inn offers luxury in a classic manor home setting adjacent to both the ocean and the famous Beacon Hill Park. Its location is close to downtown Victoria, yet it is also ideally situated to allow for views of the water as well as the snow-capped Olympic mountain range. The owner operators pride themselves on both the beautiful location for their bed and breakfast and their attention to detail. Each of the eleven rooms has an ocean view and is uniquely sized and decorated. Patrons can choose from main, second, or third floor rooms. Some rooms come with a fireplace and/or jetted tub. The Hotel Grand Pacific boasts two essential elements: views and location. Situated directly on Victoria’s Inner Harbour, this 304-room hotel is perfectly located for great views from your room and sightseeing around the city. Special amenities offered include a customized mini-bar and pet packages. The hotel also includes the Sora Spa and a full-service athletic club that offers an indoor pool and classes. To meet their dining needs, guests will find three different restaurants and cafes. A popular amenity is the West Coast Afternoon Tea served in the Pacific Restaurant. If they choose to leave the hotel to eat, the Grand Pacific also offers guests bikes for loan. 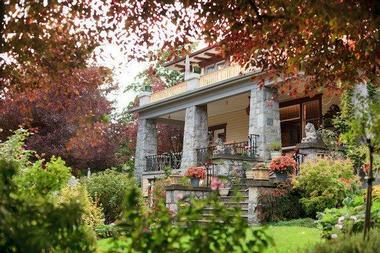 Humboldt Bed and Breakfast offers true Victorian charm in the heart of Victoria. Both conveniently located and surprisingly intimate, this six-room inn is known for its superb service and world-class amenities. Check-in includes sparkling wine and handmade chocolate truffles, which is in addition to afternoon sherry and treats that are available in a charming parlor during the afternoon. Each room includes period décor and modern upgrades such as large jetted tubs. A unique offering at Humboldt is the in-room gourmet breakfast. The hot breakfast is served in a wicker basket and delivered discreetly to the rooms via a 2-way pantry to ensure guests’ privacy. Located just outside of the city but still within walking distance of many attractions, the Inn at Laurel Point offers great harbor views in a private and serene atmosphere. The grounds include a Japanese inspired garden and a sundeck. Other amenities of note are the in-room spa services, indoor pool, and waterside dining at the Aura restaurant. This facility also offers a variety of packages, including but not limited to Whale Watching, Nice Romance, Naughty Romance, Rockstar, and Eco packages. Each package offers a unique way to enjoy this waterfront retreat. 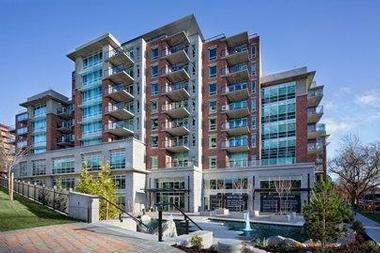 Harbour Towers is located in downtown Victoria and offers views of both the water and the city. The location and its affordable suites make it an ideal place to stay when exploring Victoria on a budget. Book a suite and enjoy a complimentary breakfast buffet. Alternatively, if guests prefer they can enjoy breakfast or dinner at Vic’s, the hotel restaurant. The hotel offers an indoor pool and a hot tub, and parking is free. Room choices include suites as well as superior and standard rooms. A knowledgeable staff is available to help guests plan their Victoria adventures. The Oswego Hotel is a chic urban oasis located in the heart of Victoria. Sophistication and service are reflected in the hotel’s eighty studio, one-bedroom, and two-bedroom suites decorated in a tasteful modern style. Guests can take advantage of spa services such as facials and massages, and meals are available day and night at The O-Bistro, the hotel’s on-site restaurant. The bistro also offers catering for meetings, weddings, and holiday parties. The Oswego has won multiple awards for excellence and has been designated LGBT friendly. And at this pet-friendly hotel, personal service extends to both human and animal guests. 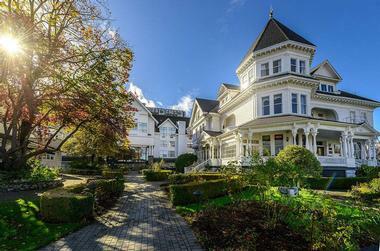 Quiet elegance pervades this six-room bed and breakfast located in historic James Bay. The location is not only charming but also practical as it is ideally located for those accessing Victoria via private boat, seaplane, or ferry. All six rooms are large and uniquely decorated. They also come with a variety of top-of-the-line amenity options such as views of the Olympic Mountains, private balconies, and jetted tubs. 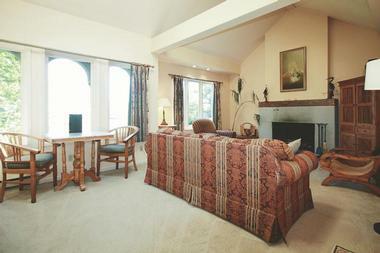 The inn boasts a sitting room equipped with a library, games, and access to the inn’s gardens. A hot, freshly prepared gourmet breakfast is served in the formal dining room and includes fresh fruit and individual entrees, as well as coffee, tea, and juice. Close to the harbor area, the British Columbia museum and the Robert Bateman gallery, the Best Western PLUS Inner Harbour Victoria Hotel is a little gem in Victoria. A wide variety of rooms are offered, from a Two-Bedroom Penthouse Suite to standard rooms with king or queen beds. Each room comes with an HD television and a private balcony. A complimentary hot breakfast is included. The hotel is very proud of its ability to offer a stellar level of personalized service, and the staff can act as local experts in helping guests to plan their visit to the city of Victoria and the surrounding area. A beautifully restored bed and breakfast in James Bay, The Fisher House offers quaint accommodation in a wonderful location. Edwardian in design and décor, this inn has been both preserved and updated to offer the best of old world charm and new world luxuries and conveniences. p>It is situated near downtown Victoria yet still allows guests the quiet of a peaceful neighborhood. The Fisher House offers three suites that include breakfast, and each one is uniquely appointed. Breakfast is made from locally grown produce and products and can be tailored to individual preferences. Tea and a variety of wines, coffee, and beer, as well as snacks, are available in the dining room in the afternoon. 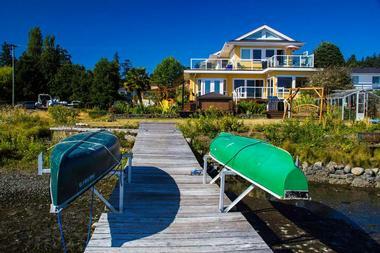 Huntingdon Manor is superbly situated for a leisurely visit to Vancouver Island and Victoria. With beautifully furnished rooms that have a touch of luxury, the Huntingdon weaves together 19th century history with 21st century amenities. Guests can choose from standard rooms to suites with harbor views. Complimentary breakfast and free parking make a stay at Huntingdon affordable and practical, and it is conveniently located close to both downtown Victoria and the Victoria Clipper and Coho ferries. Guests are invited to dine at either the Hunter’s Club in the main hotel or The Pendray Restaurant at the Gatsby Manor. Traditional afternoon tea is also offered at the Pendray. A charming and cozy little bed and breakfast, Spinnaker’s Heritage House offers a variety of romantic accommodations directly adjacent to the Spinnaker’s pub and brewhouse. Decorated in period furniture, the bed and breakfast offers guests a choice between the five rooms in the Heritage House, an entire bungalow, or one of four garden suites. Many rooms include a fireplace and jetted tubs. All accommodations put guests within a stone’s throw of the West Song Harbor walkway and offer high-end amenities. Rates include a complimentary hot breakfast, as well as a complimentary beer and truffle tasting. Also included is parking and Wi-Fi. The Albion Manor offers a variation on the traditional bed and breakfast theme. Built in 1892, the inn retains its Victorian era charm while also boasting decidedly eclectic décor with art and artifacts from around the world. The award-winning inn offers nine unique rooms, as well as a variety of special packages. These include but are not limited to the Dip Me in Chocolate, Gourmet Getaway, Spare the Horses, James, and Fins & Foliage packages. A seasonally appropriate, hot gourmet breakfast is served daily in the formal dining room. Guests can make individual requests, and all dietary concerns and restrictions are accommodated. Abigail’s is an adults-only boutique bed and breakfast hotel housed in a classic 1930’s Tudor mansion. Abigail’s beautiful rooms blend romantic style and modern luxury. The inn offers a complimentary three-course breakfast, fresh baked cookies upon arrival, a daily newspaper, and evening hors d'oeuvres served in the lobby. Several award-winning restaurants are located within walking distance of the hotel. Situated only three blocks from the Inner Harbour and close to Victoria’s many beautiful gardens, Abigail’s is ideal for couples who desire romance or an exciting outdoor adventure. 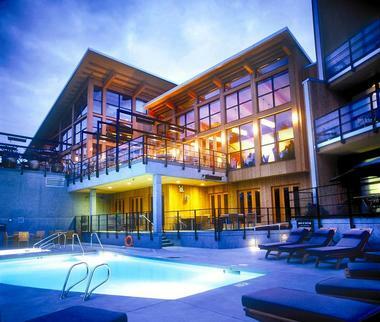 The Brentwood Bay Resort and Spa combines 5-star luxury with fine dining and outstanding service. Guests can relax in one of the hotel’s 35 spacious guest rooms, including Ocean Suites and Ocean Villas. All rooms overlook Brentwood Bay and include comfortable king-sized beds and complimentary Wi-Fi access. 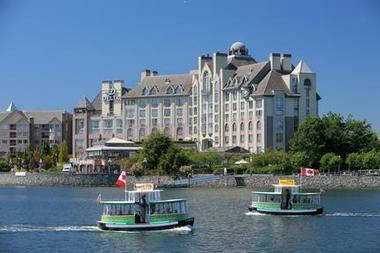 The hotel is located in the heart of wine country and near the Victoria BC Marina. Guests can explore the local marine life by boat, paddleboard, or a charted scuba-diving excursion. Two on-site restaurants treat patrons to tasty gourmet meals and breath-taking views of the bay. The resort also offers a full-service spa and a complimentary tasting of fresh sparkling apple cider upon arrival. 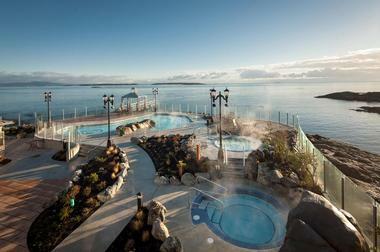 The Oak Bay Beach Hotel is an oceanfront luxury hotel perfect for the traveler who craves adventure. Hotel guests are offered exclusive access and transportation to many of Victoria Island’s best attractions, including Victoria Golf Club, Butchart Gardens, and whale-watching and fishing excursions. The hotel even has a fleet of bicycles for guests who want to cycle through Vancouver Island. After all that excitement, travelers can dine at one of the hotel’s three on-site restaurants, enjoy a relaxing spa treatment, or rest in one of the property’s gorgeously decorated guest rooms overlooking the village of Oak Bay or the Pacific Ocean. 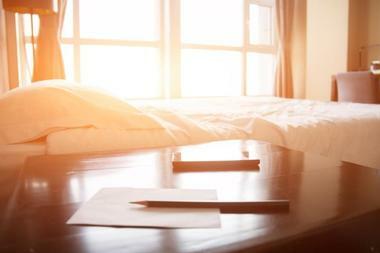 At The Magnolia Hotel, outstanding personal service is the name of the game. With only 64 rooms, the hotel’s small size means that the staff can focus on meeting their guests’ every need. They go the extra mile by providing special touches like nightly turndown service, bedside chocolates, complimentary breakfast or brunch, and recommendations on the best shops, restaurants, and attractions Victoria has to offer. When you’re a guest of the Magnolia, you can be sure that the staff knows your name and will go above and beyond to make your stay a memorable one. 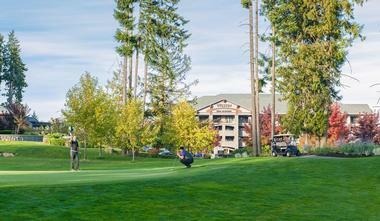 The Westin Bear Mountain is the only hotel in Canada with a 36-hole Niklaus design golf course. Guests can test their golf skills on the links, relax at the full-service spa, or swim in the heated outdoor pool. Dining options include Bella, a full-service restaurant offering modern takes on traditional west coast dishes or The Master’s Lounge tapas bar. The majestic peaks of the Vancouver Island Ranges frame the hotel and golf course, providing stunning views. Guests who crave adventure can take a hike, as the trailhead to Mount Finlayson is just a short drive from the hotel. 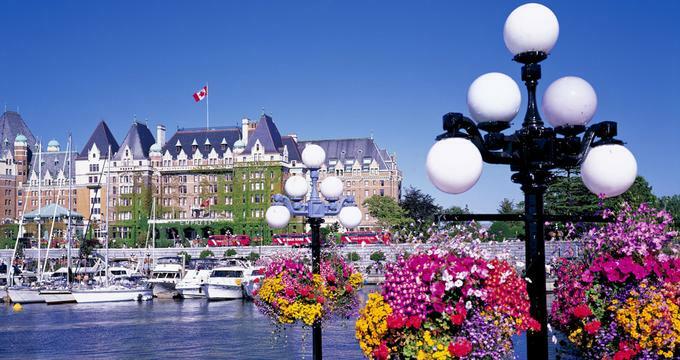 This beautiful hotel is situated directly on the water at Victoria’s Inner Harbour. The comfortable guest rooms are decorated in the modern style, and many have spectacular views of the harbor. The Delta Victoria also boasts a full-service spa and health club for guests to use, as well as a heated pool inside of a sunny solarium. Lure Restaurant and Bar is located on the premises and is open from breakfast to dinner. The restaurant is decorated in a maritime style, and it showcases breathtaking views of the water. Lure offers cocktails, fresh seafood, and entrees featuring local ingredients. Birds of a Feather Bed and Breakfast offers a beautiful and unique location where guests can unwind and enjoy the fantastic views of both the coast and the distant mountains. Whether taking a complimentary canoe out on the lagoon near the inn or simply sitting in the gardens and watching the birds, this is a relaxing place to enjoy the area’s one-of-a-kind beauty. The rooms in this small bed and breakfast boast oversized soaker tubs, gas fireplaces and radiant floor heat. Two suites have private balconies while all guests have access to a stunning rooftop patio. Breakfast is served in the large kitchen and includes delightful items such as Blueberry Stuffed French Toast or Swedish Oven Pancakes. 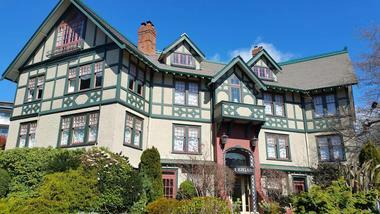 Marketa’s is a traditional European-style bed and breakfast housed in a 1912 heritage home in downtown Victoria. Individually decorated rooms range from budget-friendly family rooms with shared baths to honeymoon suites with fireplaces and jetted tubs. Each morning, guests can enjoy fresh-baked scones and muffins and fresh coffee before sitting down to a gourmet breakfast prepared by the owner, Marketa Clark. From the inn, it is a short distance to the shopping, restaurants, and sightseeing destinations of Victoria. Marketa’s even offers guests the option of booking a vacation package to help them make the most out of their trip. 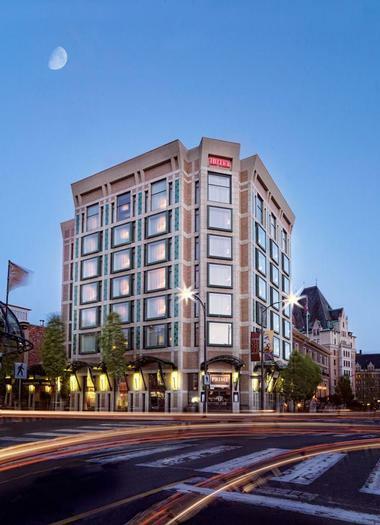 Located in downtown Victoria, this award-winning hotel boasts the luxurious accommodations and outstanding service guests have come to expect from a four-diamond Marriott. Guests can dine on fresh local seafood at the property’s gourmet restaurant, the Fire and Water Fish and Chop House. They can take advantage of the indoor pool, whirlpool, or steam room. The landmarks and attractions of Victoria are just steps away from the hotel. And at the end of the day, guests can relax in beautifully decorated rooms with breathtaking views of the city and the inner harbor.